Surprised, but it works. I add 3 drop in the morning with my face cream. It definitely improved my cream. 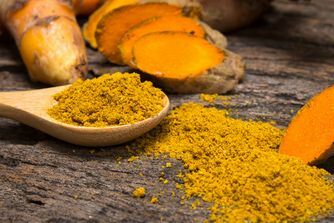 It improves my complexion, makes skin glowing and healthy. Perhaps, I will even repeat the purchase, although this will be enough for a long time. Lovely - but 5ml is simply not enough! This serum is gorgeous, I mix it in with my moisturiser at night and it really gives a beautiful glow and skin feels so hydrated. I had difficulty using just the two drops though, so unfortunately the 5ml didn't last me very long! Would definitely repurchase if a bigger version was available! Thank you Cult Beauty for introducing this to me. I would probably not have tried this if it hadn't come in the Cult Beauty box. Now I have tried it, I am addicted. Gives me a lovely glow when mixed with my moisturiser (have now purchsed the Oleosomes Time Release Delivery Crème & love the combination). I normally try another brand when I have finished something, but these serums are going to be purchased over & over. Can't live without that glow! I love this oil in the morning mixed with my daily moisturizer and I definitely have to try some of the other serums from this brand! I would not have tried this if it hadn't come in the Cult Beauty Box but now I am hooked! (Clever Cult Beauty!) This is the only product I have ever used that has caused people to tell me my skin looks really good and yes - that it was glowing. Two drops is enough with moisturiser to make a difference. Nice oil but expensive for the size! I received this as part of a goody bag (2 in fact as I made two separate orders) on days when my skin needs that extra moisture I mix a couple of drops to my daily moisturiser I definitely think this helps. However I managed to use one bottle already within a couple of weeks and for the hefty price tag I don't think that a 5ml for a full size bottle justifies a purchase sorry! I love my Ocadite serum. I mix two drops with my normal moisturiser and it transforms my skin. It gives you a dewy, fresh appearance and my skin feels lovely. This was a part of a new facial regime I was trying to target blemishes on my face. It didn't work for me, I gave it 3 stars because even though it wasn't beneficial, it didn't harm either. I felt like my skin didn't absorb it well. but then really I don't think it's a bad product, I have recently discovered that oil based products aren't for me. 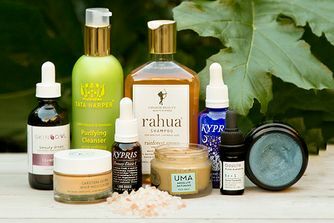 Even though I am obsessed with natural ingredients my skin just doesn't absorb heavy oils. Silly rabbit, carrots are for your face! I have to agree with the previous reviewers. 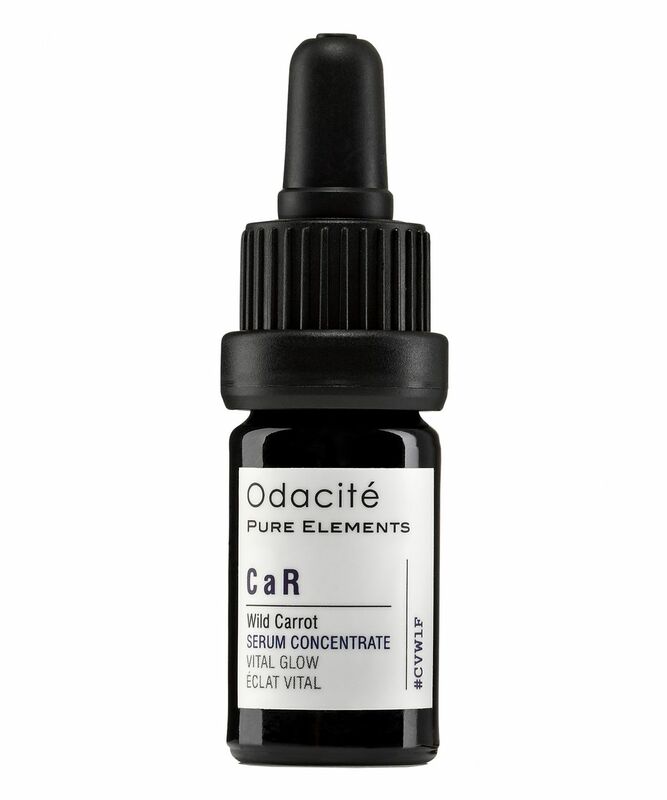 This carrot seed oil serum is wonderful and gives a beautiful "glow" to the face. I drop 2 drops (no more!) into my moisturizer/serum at night, and inhale the gorgeous scent of wild carrot. This replaces any fake tan I might otherwise need to apply to my face, and is much more enjoyable for me. It makes a big difference, which (to me) justifies the price. I added one drop to my moisturiser this morning, and my husband told me how lovely I looked, and commented on my glowing skin. It really does make a difference. I have finished the bottle last night. Normally when I finish a product, I get really happy (then I can try another one). I was very sad after finishing this. This product is so comfortable to use. I had been adding a drop or two to my moisturizer every morning. Not only it gave slight glow but protected my skin in very cold winter (winter in NZ). Never broke my skin but rather kept it really hydrated. Expensive but very, very good. I'm scared to be without it, that's how good it is! I got a free sample of this and loved it. It really does make a difference to your skin. I found it also to be very hydrating when mixed with a little moisturise. I have definitely noticed that this product is now missing from my routine!